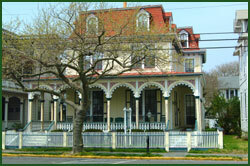 A Cape May Bed and Breakfast is a wonderful choice for a week vacation or a quick stay. 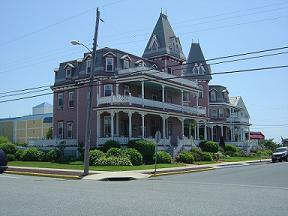 Cape May offers many accommodations including hotels, motels, and cottage rentals. However, what attracts many people to this town is the abundance of Bed and Breakfasts. Whether you want to be close to the beach, downtown, or somewhat secluded, you should be able to find one that meets your needs. Below is a list of Cape May Bed and Breakfasts for you to look at. As any accommodation, each place offers its own amenities and nuances. 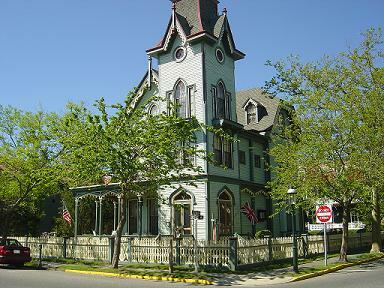 Most Bed & Breakfasts in Cape May are Victorian style buildings that were constructed 100 or so years ago. You’ll get the charm that comes with quality, older architecture and the details that lack with modern day construction. Some have been somewhat modernized to accommodate a better living style and some offer that ‘old charm’. Either way they are great places to stay! There are quite a few Cape May Bed and Breakfast accommodations. So take your time and enjoy!